As a kid growing on a farm, my mom and I would always speculate whether a ginormous egg like this beauty was a double or triple yolker. There was always much excitement leading up to the cracking open part to see what it yielded, and some brief disappointment if it had just a single yolk. Thanks for your comments. Believe it or not, it was just a single yolk but it tasted GREAT! Andy thoroughly enjoyed it, as did I. Thanks for your comments. I’m glad you both enjoyed the post. I love how much you love your hens. 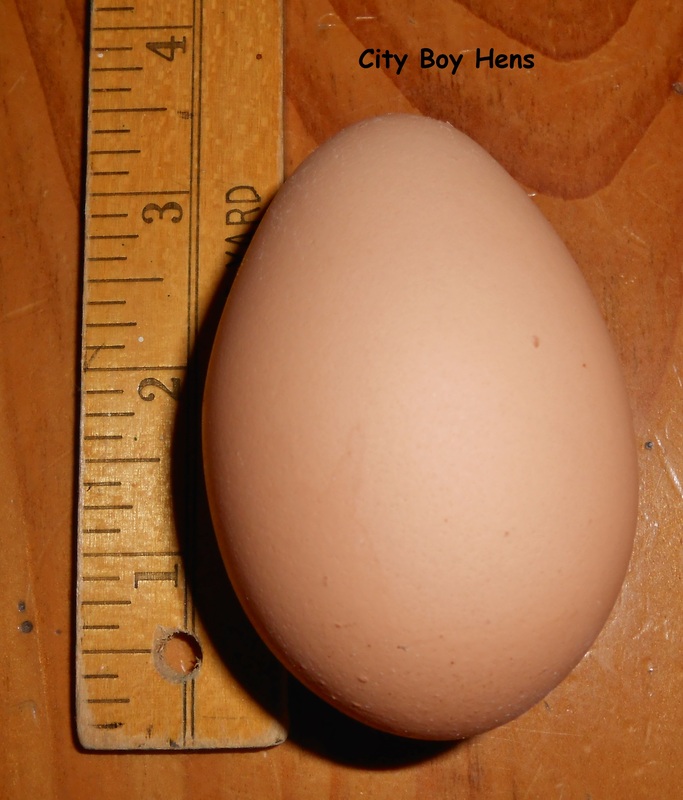 We have four Brown Shavers and their egg laying abilities and antics add an extra dimension to our daily lives. Nice that after a rest the egg laying is back in full swing. Thanks Peggy. Your comment definitely describes the fun we all have with chickens! Thanks Linda. You as well! From one lady to another…ouch! Good work, Honda! I’ll pass on your “regards”! What an absolutey beautiful egg! Way to go, Honda! What was that, a triple yolker? Would you believe it was only a single yolk! Only a single yolker?!? Wow! Thanks for sharing with us at The HomeAcre Hop! Loved your post. Made me laugh this morning! Glad to hear you got a laugh! Do you know if roosters molt? Our “Bob” seems to be looking pretty frazzled this last couple of days – has lost most of his tail feathers, poor thing! Hopefully it’s just a temporary thing. Roosters DO molt and it sounds like Bob is in the midst! Thanks for your comments & question. Loved the article. I have 5 hens. 2 silver Wyandotts and 3dark brahmas. Started this year again with them, after many years of no chickens. Your creative writing is a fun read. I understand completely where your coming from. I love my girls too. And love Chickens mag. 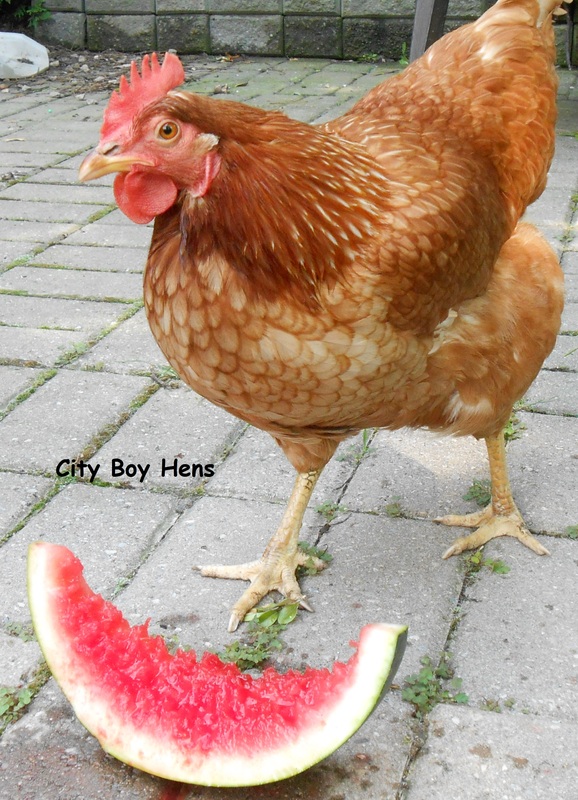 And Backyard chickens. Great job. One question , have you ever been to Eureka Springs Arkansas and bought art? If so, I sold you that art. Just curious. Anyway will follow your blog. I enjoy it. Thanks for following & the compliment. Sorry…never been to Eureka Springs. Wow, that is one big egg! An omelet all by itself, one might say. lol! Hopefully she will not have to bring them on like that every day. Thanks for sharing with SYC. That is a huge egg! ouch! 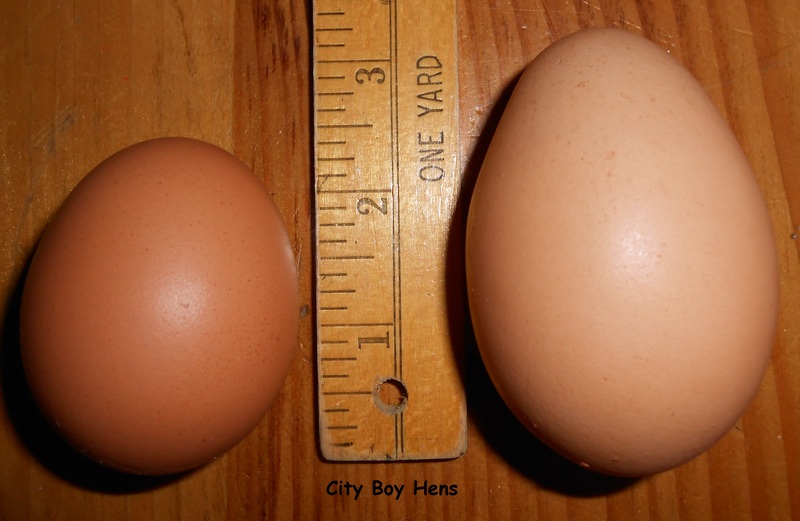 One of my hens lays eggs that are too big for the egg carton, but nowhere near this big. Thank you for sharing with the HomeAcre Hop; I hope you’ll join us again this Thursday.